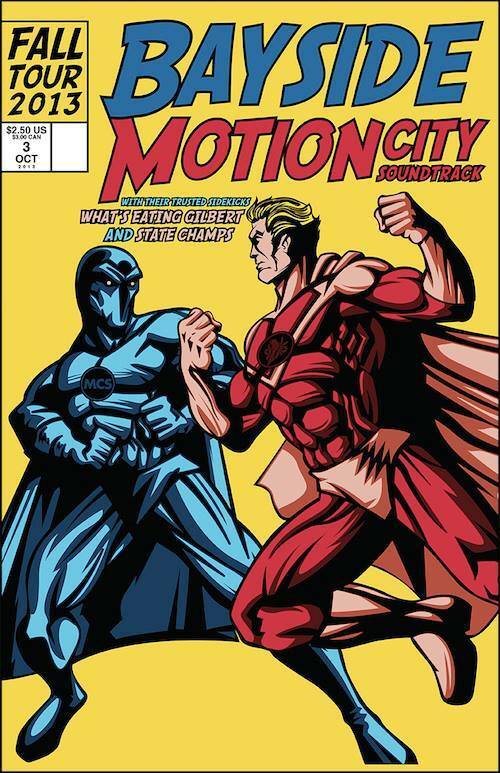 Pop punk bands Bayside and Motion City Soundtrack will be co-headlining a show at Allentown’s Maingate Nightclub on Tuesday, October 8th. Bayside, from Queens, first gained notoriety with their self-titled sophomore album on Victory Records in 2005. Since then they’ve charted on the Billboard 200 with every album, their last being Killing Time in 2011. They are currently working on their follow-up. Motion City Soundtrack, who put out their fifth studio album Go out last year, will be in the area for the first time since their 2011 show at Croc Rock. Known for their poppy, synth-driven songs like “Let’s Get Fucked Up and Die” and “Everything is Alright,” they recently played a set at Australia’s massive Soundwave Festival. General admission tickets are on sale now for $22.70 (including fees).